If you like jazz and soul, then you will definitely dig DJ Will Holland's work as Quantic. In the past decade he has produced a fistfull albums that blend jazz, soul, and modern latin, hip-hop and electronic sounds into some very beautiful music. 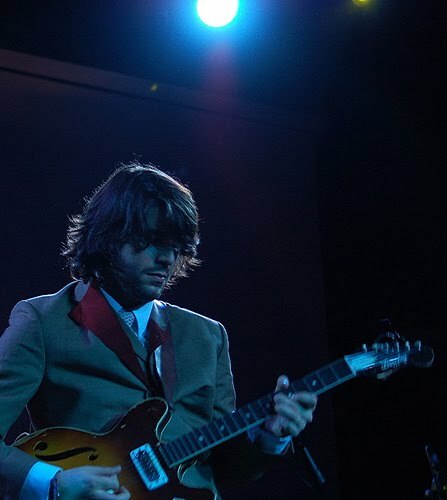 Besides recording his own original music -- on which he plays guitar, bass, drum, or sometimes all three -- he has also recorded a number of releases of deep funk and soul with the Quantic Soul Orchestra. 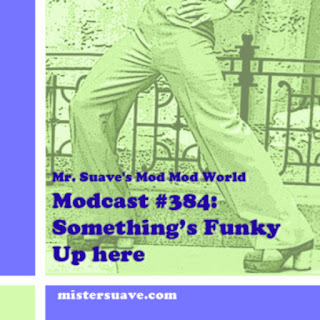 His sound is most obviously soul and jazz, but clearly owes a debt to trip-hoppers like Portishead, acid-jazzsters like Corduroy, and latin-soul maestros Pizzicato Five (no, really). Giving them a nod is fine, but Quantic's music whether solo or in groups is clearly his own. He mixes old and new together in a beguiling, and at times eclectic, way. His 2004 release, Mishaps Happening, is probably his best solo release with some nice light bossa flavored songs like the title track, but also some serious acid jazz like the album closer "So Long". In his role as leader of the Quantic Soul Orchestra his collaborations with soul singers Alice Russel and Spanky Wilson have produced some of the finest deep funk/nu-soul around -- such as "When You're Through" and "Feeling Good". Of late he's removed himself to Colombia where he's put together a latin jazz group Quantic and his Combo Barbaro, producing a marimba based batch of soul jazz songs. If Quantic is heading up the project, from funk to jazz to marimba, you can be sure it's going to be good.